(ni3) (pao3) (ma3 la1 song1)❶ (xu1 yao4)❷ (zuo4) (na3 xie1)❸ (zhun3 bei4)? (you) (to run) (marathon) (need) (to do) (what those) (prepare)? (I) (need) (to run) (more long distance more long time). I also do not want to run so that I injure myself. I will be running comparatively slow. Maybe I will get tired of eating! I eventually will get tired of running. I was tired for two days after the race. I still don’t want to be running forever. (ma3 la1 song1) (pao3 de.) (bi3 jiao4) (yuan3). running a marathon is a long way. (wo3) (hui4) (jue2 de.) (hen3) (gao1 xing4)! (I) (will) (feel) (very) (happy)! I will feel very happy! ❶ Marathon is what is called a same-sound word, a 同音字 (tong2 yin1 zi4) . That is, it is made up of Chinese sounds that sound close, to the Chinese ear, to what the original (often foreign) word sounds like. Thus, marathon is 馬拉松 (ma3 la1 song1), partly because the Chinese usually hear (and say) the English “r” sound as an “l” sound. They do not have an “r” sound equivalent in their language, even though the symbol “r” is used to represent a Chinese sound. Words like “pizza” 比薩 （bi3 sa4）and many country names fall in this category. ❷須要 (xu1 yao4) is one of the basic Chinese words that means “need.” The others that I know are 得(dei3) and 需要(xu1 yao), this second one you may notice having the same pronunciation as the first one in this note. The first (xu1 yao4) 須要 and the (dei3) 得 both technically are to be used when you need “to do” something. The second (xu1 yao4) 需要 is more abstract and used to refer to something as being truly essential or vital, such as bodily requirements. However, my tutor tells me that even native Chinese speakers tend to use the “(xu1 yao3)’s” interchangeably, so don’t worry about it too much! 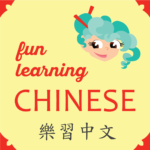 ❹Learning when to use the “adverbial indicator” of 得 (de.) has been a bit of a challenge for me. For this project, we reviewed that it indicates the verb it follows will be used in conjunction with an adverb. Another way to think about it is that the verb depends on or leads to something else. For instance, if I want to say “he runs fast,” I have to use the 得 (de.) after the Chinese word for “to run” 跑 (pao3) to connect it to the word for “fast” 快 (kaui4). Then I would write or say: 他跑得快, which indicates that when he runs, he runs fast. ❺There is another (de.) 地 here is generally the equivalent of adding an “ly” to a word, often originally an adjective, into an adverb (that describes an action). In my sentence, the Chinese word that means (constant, perpetual, forever, eternal) is modified by adding (de.) 地. Another phrase for “forever” is 長長久久 (chang2 chang2 jiu3 jiu3) (long distance long distance long time long time), but that is used when the idea of forever is positive, like “may you be married forever.” So, since no one wants to run a marathon forever, a different word is used in this case: 永久 (yong3 jiu3) (permanent long time).